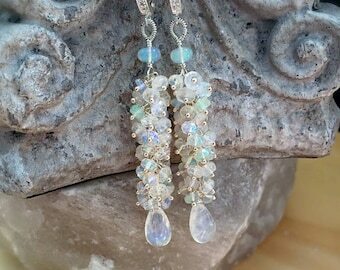 Gorgeous blue flash moonstone faceted teardrops sparkle beneath a very pretty cluster of lavender opals, which are ethiopian opals permanently tinted in beautiful lavender, along with kyanite and touches of peridot. 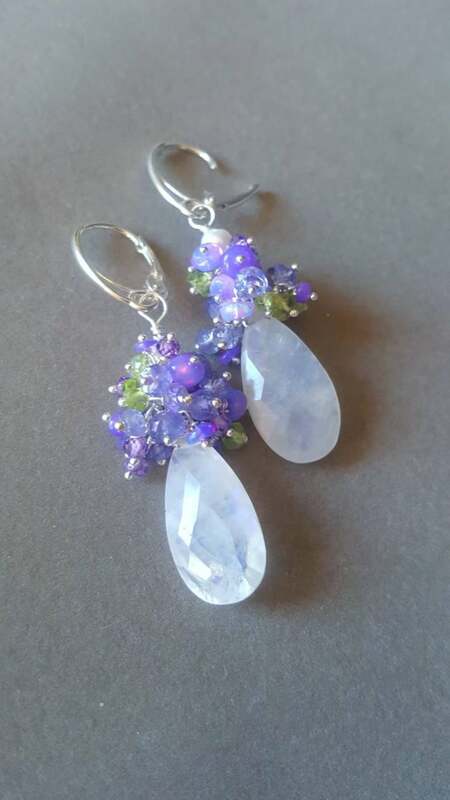 The cluster was inspired by my love of hydrangeas, my favorite flower, I have a big beautiful purple bush right outside my door, I can't wait for spring when they'll return. Total length is 1.5" long all metals are sterling silver and has beautiful sterling silver leverbacks. 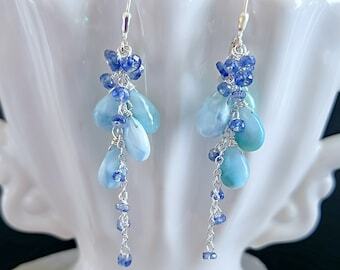 Beautiful earrings, pretty colors, thank you!